Senior UTJ official says haredi parties would not leave coalition over construction work on Tel Aviv bridge on Shabbat. A senior United Torah Judaism (UTJ) official was quoted Sunday as saying that even if work on Tel Aviv's Yehudit Bridge were carried out on Shabbat, UTJ would not have withdrawn from the coalition. The construction had originally been scheduled to take place on Shabbat in order to shut down the central Ayalon Highway on a day when traffic is relatively light. Katz had reversed the decision following protests by haredi MKs. "We did not intend to make any coalition crisis around the bridge works in Tel Aviv if they were held and and carried out as previously arranged," the senior official was quoted as saying by journalist Ze'ev Kam on Reshet Bet. According to the official, the protest was not a political crisis that would lead to the dismantling of the government. "We would protest and shout, but if they were carried out, we would not have caused a coalition crisis." He added that the present situation illustrates the difference between UTJ's presence in the government as opposed to the party only serving in the Knesset opposition. "That is why the deputy minister resigned so that we would not have responsibility for the desecration of the Shabbat that is taking place in the public sphere," he said. 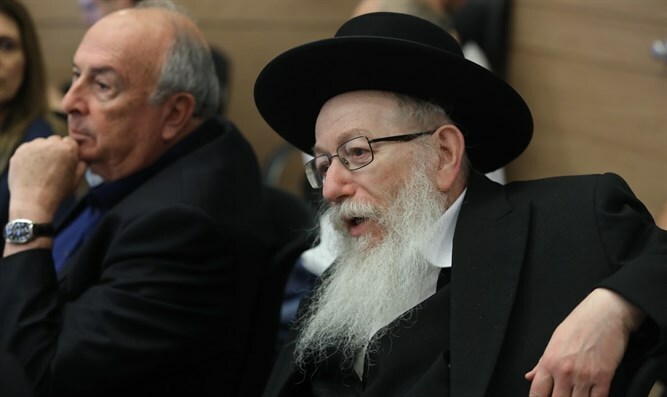 It is believed that the haredi factions are refusing to vote on religious and state issues, especially since the issue of the Draft Law has not yet been resolved.